Making his first appearance on our page since back in November, Rocket Da Goon is an emerging artist set to become a familiar face over here at LL; and his latest collab with Famous Dex will give you all the reason to believe so. 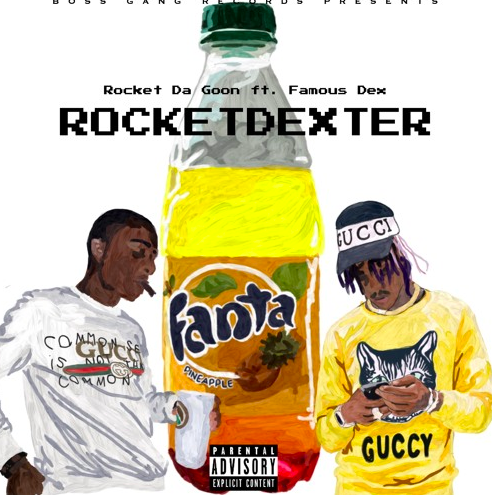 Simply titled RocketDexter, the two artists floated over the funky instrumental with their catchy lyrics on trapping before rapping, running up with automatics and so much more making this song one of the catchier collabs I’ve heard in recent memory. With a handful of releases so far on his page, Boss Gang’s Rocket Da Goon is looking to make some real traction as the year rolls-on and this Famous Dex collab will undoubtedly help his case moving forward. Having said that, let RocketDexter bless your speakers and watch out for the next collab from the duo!